Earlier this year Amazon brought its Cloud Drive Photos support for iPhone and now an update has been released supporting iPad too. 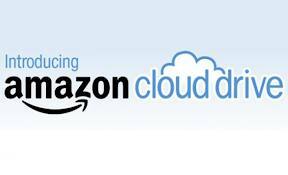 While there are plenty of other cloud storage services, Amazon’s one of the best. It has been now updated with video uploading support too. Amazon Cloud Drive Photos for iPad app allows you to upload photos and videos from your device to Amazon’s Cloud drive service. Once uploaded, you can view your photos and stream videos conveniently on your iOS devices. Up to 5 GB of free space is available with Amazon’s cloud services. Although Amazon had introduced video uploading feature more than a year back, it was only for Android. From today, iOS device users can also upload videos on their Amazon Cloud Drive app. Apart from adding iPad support and video uploading facility, Amazon has also updated its Cloud Drive Photos app on iOS with a few other features too. Up to 2GB / 20 minutes in length videos can be uploaded. Similar to Android, Amazon Cloud Drive Photos app also will disable lockscreen so your large uploads can finish without timing out. You can download Amazon Cloud Drive Photos for iPad app from this link.